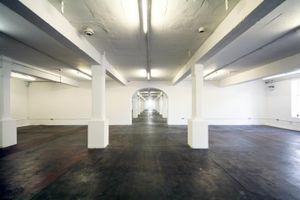 This enormous 10,000 sq ft space is one of Brick Lane’s most exceptional pop-up spaces. 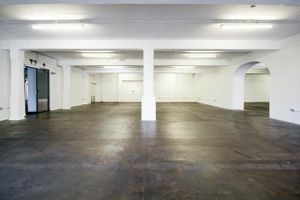 It is available for all large-scale exhibitions, filming and photo shoots, parties, trade shows and private dinners. 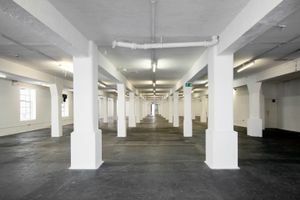 The space is located on the first floor of the Old Truman Brewery. 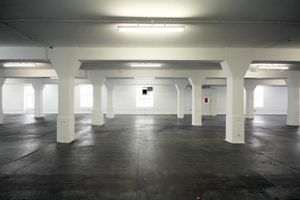 The space is very long with white walls, concrete flooring and good amounts of natural daylight. A wall with an archway in the middle of the space one larger and one slightly smaller exhibition space so it can be dual-purpose. It is equipped with lighting, loading bay access and direct lift access into the venue and has a capacity of up to 440 people.